Update: Paul Van Slembrouck, the designer of this graphic, has responded to the critique. Be sure to read his comments below! 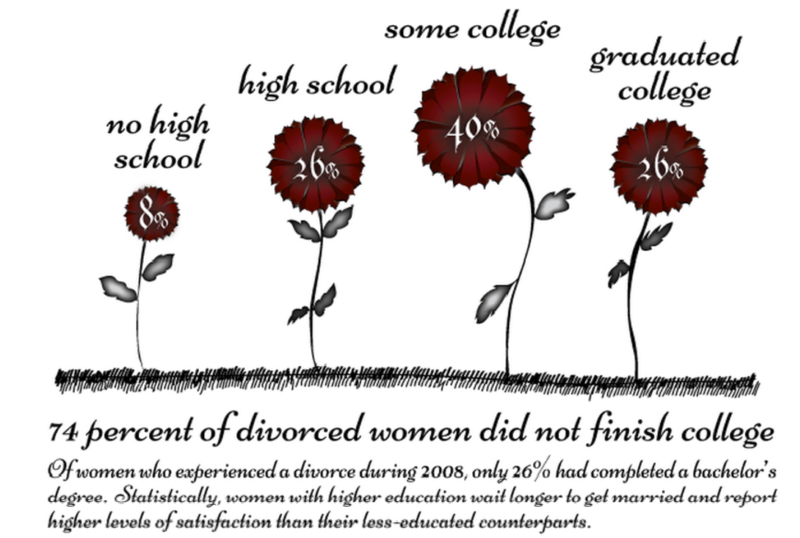 For valentine’s day Visual.ly posted a series of visualizations of divorce statistics in the U.S.. Several aspects about this graph bothered me, and I thought it would make for a good exam question.